I always looked forward to the Saturday each month teaching my Luxage English Class. They were a group of ladies with a wide range of interests and life experiences that shared a love of learning. I never knew where our conversations would lead and that's what made it enjoyable. Here we are five years ago for an Easter dinner. 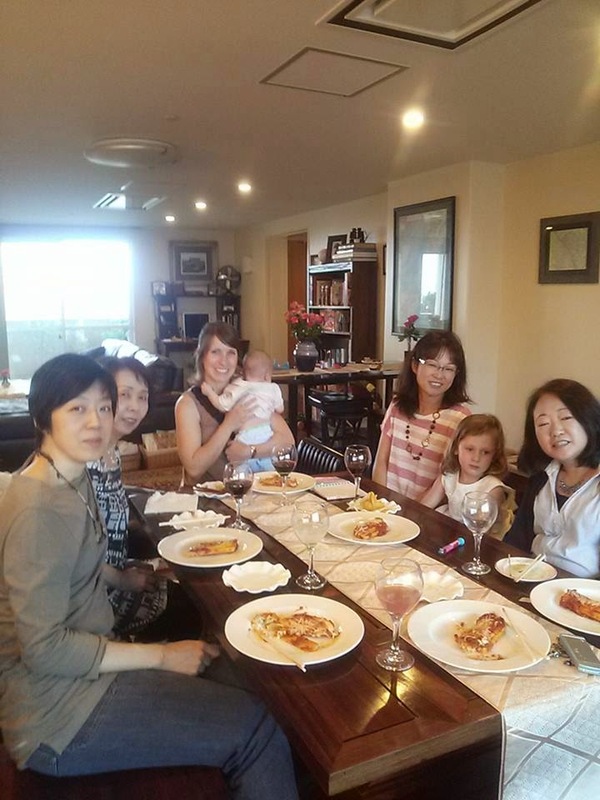 When I returned to Japan we reconnected and they made the trek base for an evening meal. It felt like no time had passed. As with Japanese custom, they came bearing gifts and a variety of food that we enjoyed as appetizers. Then we sat down for a manicotti dinner . EJ received an origami instruction book and paper and was excited to learn the skill from some experts. Before long they had a table full of animals, boxes, and dolls made out of paper. EJ has been practicing ever since. There is something so relaxing about sitting around a table with a glass of wine and good conversation. I hope our dinners together will become a regular occurrence!